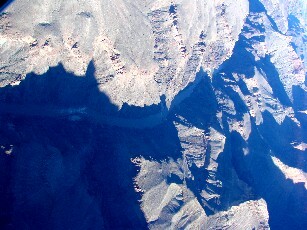 the terms of visiting grand Canyon during the tour. I was not sure of any adventure activities to be executed during the planning phase of our short tour, still as an adventure lover my mind was in search of some or other activity in Grand Canyon. We planned and booked travel/hotel reservation accordingly. After office most of us did our 5 day tour bag packing and reached O'Hare airport on time. The plane schedule too was on time. We took 9:50pm plane to Las Vegas by American Airline. The time diff between Chicago and LAs Vegas is of 2 Hr. We reached Las Vegas around 12night. Then to the Hotel at 1:00am. Our Hotel was at one end of the strip road. 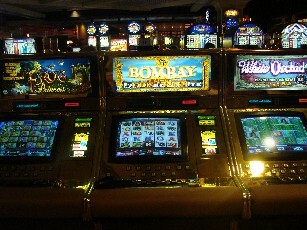 From the Airport to Hotel we could able to guess the Casino craze over here. Our team of 4 including Siddharth, Jaideep, Manish & myself, except Manish all were 1st time visitor. We took rest in the hotel for next 6 hrs since everyone was in the sleeping mood due to 4 hr travel. Next day we started our exploration starting from the our hotel it self. It was crowded the basement was dedicated to Casino's & Rest of the area for fun activities. The first activity what we did is searching for the food court to get charged for the day exploration. We took monorail from Hilton station to Harrah's St. The one way travel per person cost 2$. 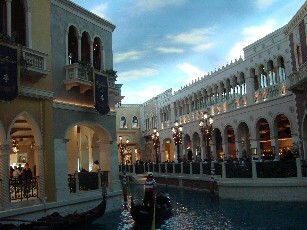 We then visited Venetian Hotel & Grand Canal shop then visited Treasure Island. All these hotels are entrance is well decorated in terms of architecture& light effects. Each hotel has its own theme and the interior built accordingly. During our planning phase as suggested by Manish we already reserved our tickets for the David Coperfield Show. Its one of the great personality in US related to entertainment. I was not in the favor in the planning phase to visit such shows but to keep going with the group I thought of lets attend it. So the show was at around 7:30pm at MGM hotel. The hall was well decorated with all rich interior. To add more enjoyment we had special drink before the start of the show. In no time the entire hall approximately 300 people occupied the place and the show started on time. After my school days I attended such show. It was different feeling at some point of time like in case if opted to make me/us vanish for some time then what! As expected the entry of Mr. David Coperfield was unimaginative. One has to be there to get the real feel of the activity. He had made the show so much interactive like everyone started feeling like he/she might be the part his magic tricks. There were some items like getting him into the box and making it shrink, then taking the ring from a lady and suddenly appearing it at from some other place. Then throwing items in the crowd randomly and ask them to speak some numbers & making the number appear on metal plate locked inside the metal box. The last one was awesome making 15 random people suddenly vanished from the desk and appear in few seconds from the backside rows in the middle of the crowd. Nobody realise what has happened. That was great. I felt like it was a very short performance but I realise when I saw my watch. I liked the show very much and conveyed my thanks to Manish for this proposal. 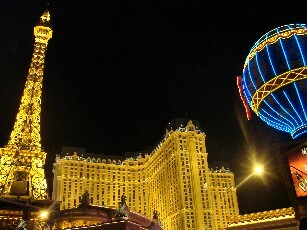 Later we visited Planet hollywood and some other places & return to Hotel Circus Circus at late night. Saturday 22nd Dec 2007: We moved on the main strip road for photography & purchasing all the day. Grand Canyon Tour: This was the most awaiting day for me in the entire trip. 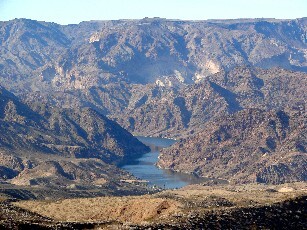 We drove from Las Vegas airport to Tusayan airport, one hr drive from Williams to the left. On the way we passed through the Lake Mid & then Hoover Dam. It was Manish driving skills due to which we could manage to reach the airport on time. 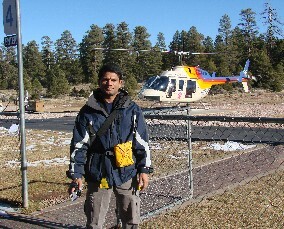 It took 6 hrs to reach the airport from where we were supposed to take the Helicopter ride of the Grand Canyon. Myself & Siddharth finalist out of we four to take the ride. For me the ride was unique since first time flying with Helicopter & second but most important is the aerial view of the Grand Canyon which one of the wonders of the world in terms of geography. Indeed it was a worth experience for me. Siddharth did video recording while I was capturing the photo from my digicam. the ride was of 30 min. After returning back from the ride we had lunch break and then drove towards the Grand Canyon village area from where we can view those breath taking scenes. 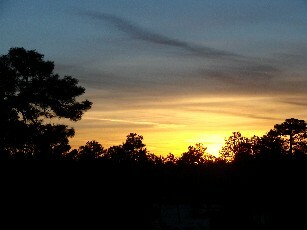 As the sunset was nearing the cold wave becoming unbearable. We had early dinner in the hotel and all set to go for the return journey. The return journey, Jaideep decided to drive, this enable Manish to take rest due to morning drive. 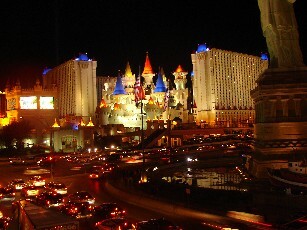 We reached late night in the vegas, while returning our hotel visited the downtown area. So for it was a short but memorable trip to Grand canyon. Once again visited all places where we missed in last 3 days. We 1st visited Circus Circus hotel itself. Attended aa small circus show & some of the rides. Later we visited Wynn hotel which was the best of that day, altogether different class of people, I was worried in the sense how to capture these objects either by camera or eyes. The interior was Luminated by lights with all mild colours. Later we kept on moving towards Balley's hotel to attend the Jiblee Dance Performance Show at 10:30p till 00:15am. It was one of the adults dance performance show with group of 50 young women & men. One of the dance has a story of Laila (the queen) with huge background set of palace etc. All performers were moving around the entire theatre. This enable the entire crowd to have a close look around. Overall this was refreshing/rejuvenating experience. Check Out the Hotel at 11:00am and went to McCarran Airport for further journey to Chicago. It requires more days just to explore Las Vegas only. We didn't visited many such special shows as well the places. 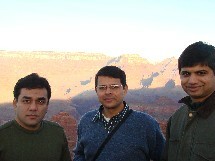 Also one should spent atleast one complete day or more at Grand Canyon. 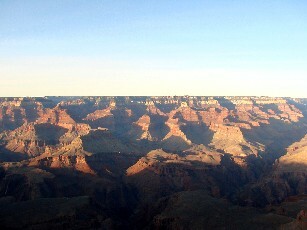 For me I would rather love to spent more time in Grand Canyon than Las Vegas and do some trekking, climbing activity. I consoled my self like there is always next time. So hoping for the best. Indeed it was good trip in terms of change in the regular workload.